BMT Tax Depreciation, a company that has worked with more than 400,000 Australian property investors to help uncover and claim legitimate tax deductions for the wear and ageing of their investment properties, has compiled a list of its top five tax mistakes commonly made by investors that likely result in millions of dollars of tax savings going unclaimed each year. The Australian Taxation Office (ATO) recognises that the structure of a rental property and the assets within it can experience wear and tear over time and therefore allow tax concessions for investors to account for this deterioration. 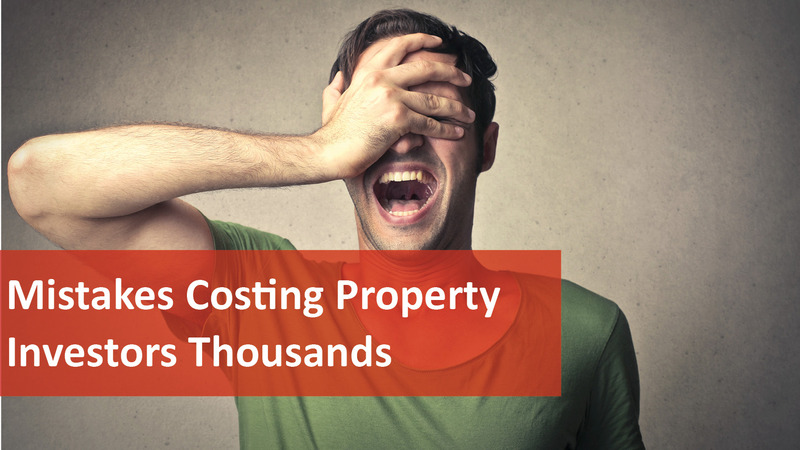 Quantity surveyors such as BMT are used to uncover these deductions and help maximise tax claims for property investors. The Chief Executive Officer of BMT, Bradley Beer said the first mistake many investors make is not claiming all the legitimate items they are allowed to depreciate. “Items such as smoke alarms, security systems, swimming pools and even garbage bins are often overlooked but hold valuable tax savings for property investors,” said Bradley Beer. “Fixtures and fittings with a depreciable value less than $300 can be immediately claimed in the first financial year. “A garbage bin valued at $250 and smoke alarms valued at $145 are just two examples of items which are eligible and can generate immediate tax savings for applicable investors,” said Bradley Beer. The second common mistake seen by BMT is investors believing that their properties are too old to hold any deductions but the truth is a property’s age does not necessarily rule out all deductions completely. “In order to claim the capital works allowance for structural elements of a rental property such as walls, floors and ceilings, your property must have been constructed after 1987. However, owners of older properties can still claim deductions for renovations carried out after the relevant date, even if these were completed by a previous owner,” said Bradley Beer. Investors who renovate their properties are often not aware of scrapping deductions available for the assets they remove and replace. “Ideally, a property should be assessed before renovation to determine the value for scrapped assets such as tiles or appliances like dishwashers and refrigerators, then after a renovation to account for new additions,” said Bradley Beer. The fourth common mistake seen by BMT is investors believing that because they purchased their investment property some time ago that they cannot benefit from tax depreciation or items that may have been missed in a previous claim. “The ATO allows two previous tax returns to be adjusted so investors would be wise to examine whether they have missed anything and if so, speak to their relevant advisor to have their tax return amended,” said Bradley Beer. Lastly, many investors can mistakenly believe that using an expert quantity surveyor to assess their property in order to maximise their tax claim will be expensive and therefore opt to ‘DIY’ their own claim. “Some investors may not realise the cost of obtaining a depreciation schedule is 100 per cent tax deductible,” said Bradley Beer. “Also, if BMT does not find the property investor double the amount in tax deductions than the cost of the tax depreciation report in the first financial year claim then there is no charge to the investor. “By taking the time to explore the tax depreciation system and working with an expert quantity surveyor, property investors can avoid making these common mistakes and help ensure their investment properties are generating the maximum amount of cash flow possible,” said Bradley Beer. If you are looking for property management professionals to look after your biggest assets, contact us today for your free rental appraisal.